It is kind of funny to mix Confucius with Shakespeare, but is also helpful to keep in mind when trying to understand Chinese idioms or watching Chinese movies set in ancient time periods. Think about someone who is learning English also trying to understand Shakespeare. That is a major accomplishment for even native English speakers! 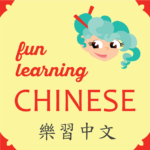 Don’t be discouraged if ancient Chinese is a challenge for you! 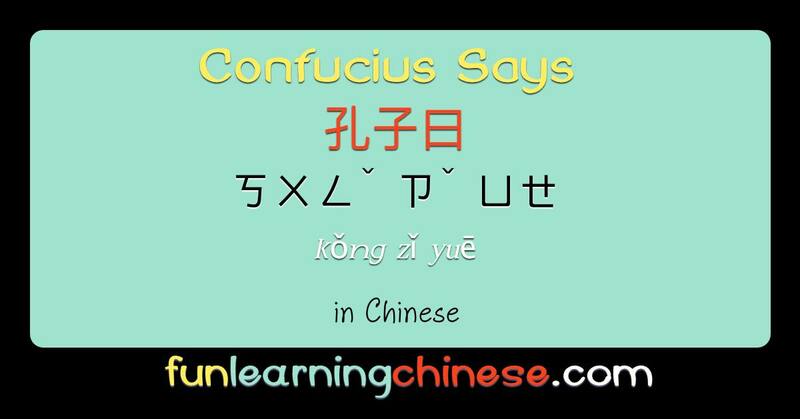 ❶ Confucius may also be seen in the Chinese language as 孔丘 ㄎㄨㄥˇ ㄑㄧㄡ(kǒng qiū) or 孔夫子 ㄎㄨㄥˇ ㄈㄨ ㄗˇ (kǒng fū zǐ). The second of those being the one that will sound most like our English version. ❷ Although 說 and 講 can be used fairly interchangeably in Chinese, and both translated as “to say,” I have translated them each differently in the final English version to keep the flavor of the joke. ❸ 曰 can also be directly translated as “to say,” but the tone of the joke is comparing ancient ways of saying things, so I have used old English in the translation to emphasize this. If you ever want to have fun with that, check out LingoJam.com, which has a “translator” function to old or Shakespearean English, all in good fun! ❹ In ancient Chinese writings, there were no punctuation symbols. There were 4 characters that were used to indicate pauses or breaks. 乎 is one of them, but even though punctuation is used nowadays, the characters are often part of well known four words idioms and it would not work to remove them.